Vegas Paradise Casino will then reward you with a bonus (Welcome Bonus is for new players only). The terms and conditions of the bonuses vary between different casinos and might also change over time and between different countries, so it is important to compare the different offers and read the T&C for Vegas Paradise Casino before signing up. Looking for real thrills and spills of Las Vegas? Than Vegas Paradise Casino is a perfect gambling destination for you. Being online since 2012, the gaming establishment sports sleek design and provides its players with a plethora of casino games in a fair and safe environment. It is fully licensed and regulated by the Malta Gaming Authority and UK Gambling Commission which guarantee that the casino operates in accordance with the industry standards. At the bottom on the website, you can find payouts rates for all the games you can play here, which is a quite useful feature. Grab a welcome bonus that will double your balance and you can start your Vegas adventure. 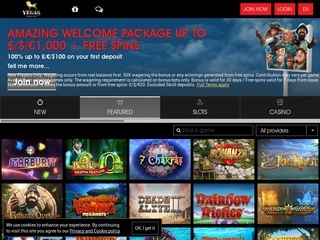 More than 350 casino games can be found on a multiplatform performing smoothly on both desktop and mobile devices. The casino is powered by some of the leading gaming companies like NetEnt, Microgaming and NextGen, but players can also try their luck on products coming from the creative kitchens of relatively young developers like Big Time Gaming, Iron Dog Studios or ELK Studios. The gaming content is available on mobile devices with no download needed. Just enter the casino address in your mobile browser and enter your login details to access it. Vegas Paradise Casino is a real paradise for slot enthusiasts who can choose from a variety of titles including the most popular ones and the latest releases offering innovative bonus features. If you prefer good old video slots, you can spin the reels of Gonzo’s Quest or Tomb Raider – Lara Croft while those who are more into exploring new games and features can give the titles like Finn and the Swirly Spin or White Rabbit a try. Progressive slots can turn you into a millionaire in a single spin, so if you believe in luck, give the slots like Divine Fortune or Dark Knight a spin or two. Players who are into Roulette can choose from 10 virtual tables while those who like Blackjack more can play 8 game variants. In the Casino & Live section, you will find only one Poker variant, Triple Pocket Hold’em Poker. Deuces Wild, Double Bonus, Jacks or Better and Louisiana Double are Video Poker variations available at Vegas Paradise. If you are looking for genuine casino action and more immersive gaming experience, you can join live dealer tables. Under the Casino & Live section, you will find Live Blackjack, Roulette and Baccarat tables. 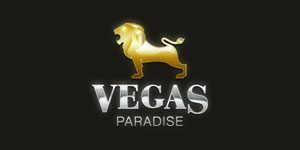 Vegas Paradise welcomes all its new customers with a 100% sign up bonus up to £200. Make your first deposit of £10 or more and your bankroll will be doubled up to £200. The welcome bonus is valid 90 days from the date is is added to your account and subject to the wagering requirements of 50x the amount received. Existing players can make use of a variety of monthly and weekly promotions such as March into Spring offering a total of 210 free spins and up to £1,260 in bonuses or Get Paddy’s Day celebrating St. Patrick’s Day with up to 130 free spins. Other promotions include happy hours, ruffle draws, personalized bonus and free spins offer as well as live dealer and Roulette cashbacks. The most loyal players can join the VIP Room offering a range of perks including discounts, special promotions and extra bonuses. To get to the VIP Room, you have to collect VIP Points. Whenever you place a £16 bet at Vegas Paradise, you will earn 1 VIP point, so the more you play, the higher your loyalty level will be. Check out your current VIP status and once you reach platinum and diamond level, you can enjoy personalized services such as VIP customer support and birthday presents. At Vegas Paradise Casino you can use GBP, EUR, USD and SEK to make transactions and wagers. However, not all banking methods, and there is a long list of supported ones, allow you to use all the currencies accepted. The supported banking options include Visa, MasterCard, Maestro, Pay by Phone, Skrill, Neteller, PaySafeCard, Trustly, iDEAL, Giropay, Qiwi, WebMoney, Fast Bank Transfer, Euteller and Sofort. Depending on a preferred banking method, you can deposit at least £10 or £20 while the minimum withdrawal is £20 or £50. The maximum amount you can clear from your account is £3,000 per week or £6,000 on a monthly basis. Withdrawals requested via e-wallets are the fastest and take up to 24 hours. If you need any kind of help, feel free to contact reliable customer support representatives you can get in touch with via email or live chat 24/7. In the footer of the website, you can find links to pages containing useful information on deposits and withdrawals, for instance, or game payouts. However, Vegas Paradise offers no standard FAQ section nor is present on social networks.